A former Illinois legislator and past chair of the Illinois State Board of Education and Bank of the North Shore, Edward Copeland draws upon his experience in government and business when serving real estate clients. Concentrating in commercial real estate primarily, Ed counsels and represents both businesses and individuals regarding real estate law, including the purchase, development, financing, construction, leasing and sale of office buildings, shopping centers and retail, industrial and residential properties. In addition to representing a wide variety of successful individuals and privately held business concerns, he also has represented a number of nationally recognized developers and real estate syndicators. Profiled in the first and subsequent editions of Who's Who in America, beginning in 1978. His public service began in 1966 when voters elected and later reelected him to the Illinois House of Representatives. Beginning in 1975, he served for nine years on the Illinois State Board of Education, appointed by Governor Daniel Walker and reappointed by Governor James Thompson. He also organized the Bank of the North Shore in Northbrook, Illinois, and served as board chairman there for five years. 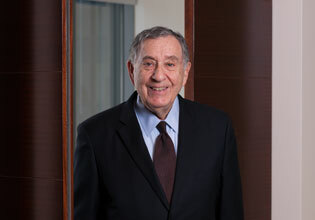 Engaged in the practice of law since 1959, Ed joined Schuyler, Roche & Crisham in 1989. J.D., Northwestern University School of Law, Chicago, Illinois, 1958. Certificate of Completion, University of London, London, England, 1957. B.A., Carleton College, Northfield, Minnesota, 1955. Martindale-Hubbell, "peer review rated for ethical standards and legal ability," since 1976. Illinois State Board of Education; Springfield, Illinois; member, 1975 to 1983; chairman, 1981 to 1983. Illinois Legislature, Springfield, Illinois, 1967 to 1971. Board of Directors, Progressive Housing, Inc., an organization that provides housing and career training to disabled adults, 2011 to present.